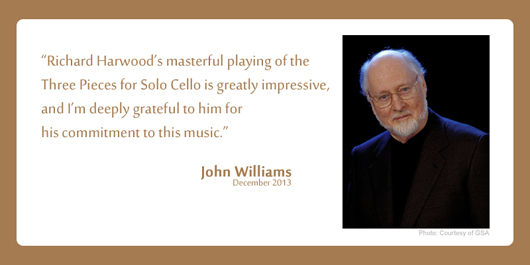 "This extraordinary recital is rounded off by five world premieres....Harwood plays them all with supreme dedication and musical insight, captured in exemplary sound of stunning realism." "Only an ambitious performer would release a disc of unfamiliar music by a group of composers known mainly for their film music. 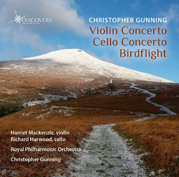 And when it turns out that this aptly titled disc consists of pieces for solo instrument only, one starts to question the sanity of such a venture. 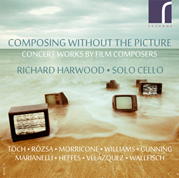 But you needn't worry when the performer in question is so completely and utterly in control of the expressive and technical dimensions of his instrument and its repertoire as Richard Harwood."